I bought them in a local gaming store, just out of curiousity. I am heavily into playing shooters, even from a young age, and now I have switched over to play them on console. I must admit that I tried Halo 3 a few years ago, but aiming with a controller was hard. Now with Call of Duty WW2 I started to become good. My kill-death ratio became more and more positive and I started watching youtubers to improve even more and use their tips and tricks. Several of them used Scuff-controllers (and I must admit that it really tickles that I want on of my own, to test if they are really that good). Several of them used Kontrolfreeks. Kontrolfreeks fit better in my budget (as an unemployed autistic, it’s hard to find a job). So I bought them and tried them. At the time of writing, I have been using them approximately 2 months now, and have almost exclusively played shooters with them (Call of Duty WW2, Destiny 2 (when it was free to play), Fortnite Batlle Royal and Wolfenstein: the last order). I must say: Wow. I didn’t expect that I could lower my sensitivity that much in Call of Duty and still snap on target that much. I now play on 4-4 (previously I played on 9). Now I snap on target much quicker and kill much more efficiently. Also in Wolfenstein I have less difficulty with snapping on target (in that game it’s more a problem of always having bullets on hand for the hords of nazis you have to kill). All my gaming has improved (as I have also played Steep and Assassin’s creed: origins with them). The controls flow more smoothly also the thumbsticks are much wider now, so you have much more control and range. I play all sorts of games, so they are not solely used for shooters here, but also for sports games like NBA 2018. Although I am not an all-star, I can shoot 3 pointers. My gilfriend has her own controller without kontrolfreeks (it’s a shame, I know) and her controller now feels foreign to me, when I have to setup a few things on her xbox. I don’t know if I ever could play again with a normal controller. 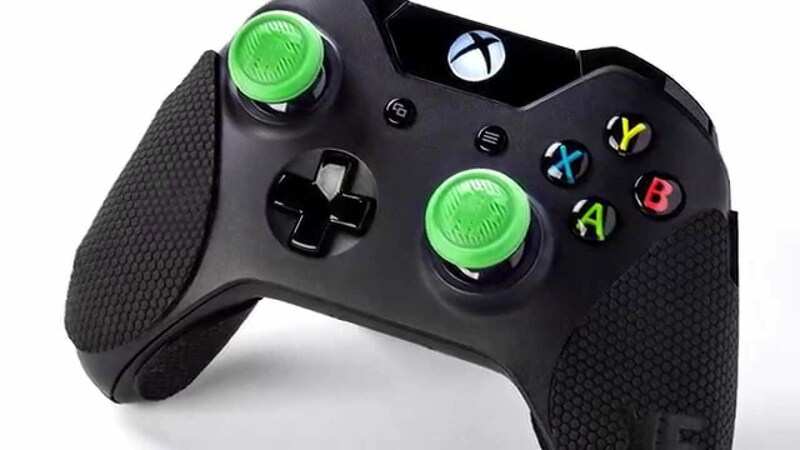 I will probably never give up my kontrolfreeks ever again, as they help me control the game much better and have a wider surface (and are more durable than the thumbsticks of the xbox controller itself).